Provides Site Check, Do Not Track, Facebook Privacy Scan, private browsing and more. Scans your recent Facebook activity and alerts you to privacy concerns. Control what others can see. Erases your tracks - allowing you to surf the Web in complete privacy. Threat Traffic is monitored and blocked - inbound and outbound. OSFirewall ™ Monitors programs for suspicious behavior - spotting and stopping new attacks that bypass traditional anti-virus protection. Zero-hour Protection prevents silent outbreaks from gaining system access - before other security programs can even detect the threat. DefenseNet ™ provides real-time security updates, responds quickly to breaking threats and leverages threat data from millions of users - protecting your PC from the latest attacks. Enhanced Browser Protection scans websites for dangerous scripts, files, archives and packed executables before they are downloaded onto the end-users' computer, preventing scripts/files from ever saving to disk or executing if they are found to be dangerous. Blocks data-collecting companies from tracking you online. Control who receives your private data. Identifies timeline posts that expose your private information to strangers. Scans photos, videos and status updates for tags that can hurt your privacy. Works within your Facebook account, scan results delivered in seconds. Includes detailed step-by-step instructions to tighten your Facebook privacy. Share your own Facebook privacy ideas to help others improve their privacy. Erases your cache and all, cookies, history and passwords - letting you browse the Web in complete privacy. Daily Credit Monitoring and Fraud Alerts include daily credit reports with email alerts. You'll be notified of any changes in your credit reports - which are often an indication of identity theft (US only). Efficient Backups effectively utilize your Internet bandwidth as the data files are compressed during transmission. Furthermore, only the modified portions of your files are backed up - speeding up the process. User-defined Encryption Keys secure your files as they are uploaded and downloaded. All stored data is encrypted with a secure key and a password known only to you - protecting your data from hackers. [For DataLock Only] Free Password Recovery hard drive encryption customers have access to live customer support representatives, 24/7, to help reset your password. Free Upgrades for 12 months from installation: be notified automatically when a free new version is available. Free Customer Support includes in-depth information, forums and online LiveChat 24/7 so you can get the most out of your ZoneAlarm product. 30-day Guarantee: satisfaction is guaranteed or you'll get your money back. Believed accurate based on research performed July 2, 2009. List of features is not exhaustive. 2 Identifies new viruses in 0 to 2 hours on average. Microsoft .NET Framework 3.5 or later: Required to run ZoneAlarm. If the required .NET Framework version is not already installed, the ZoneAlarm installation program automatically installs .NET on your computer. Additional requirements are available for browser security, spam filtering, hard-drive encryption, and parental controls. Looking for Small Business solutions? 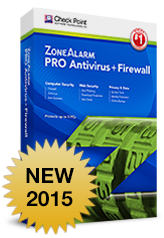 Already a ZoneAlarm Customer and need to renew your license?